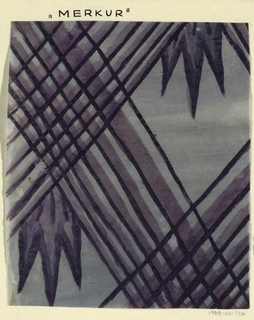 See more objects with the tag pattern, textile design, leaves, Vienna, repeat, diagonal, colorways, austria. See more objects with the color darksalmon dimgrey darkslategrey antiquewhite grey or see all the colors for this object. This is a Drawing. It is dated 1919 and we acquired it in 1988. Its medium is brush and gouache on paper. It is a part of the Drawings, Prints, and Graphic Design department. 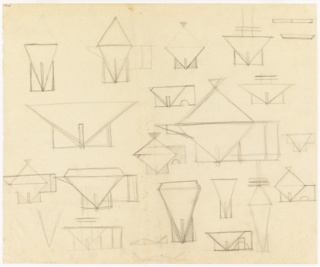 While early Wiener Werkstätte designs featured primarily sober geometric forms, Dagobert Peche’s work for the studio introduced a flourish of asymmetrical patterns and organic elements. 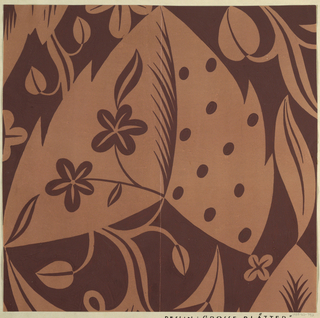 Spear-shaped leaves were a hallmark of Peche’s style in many of his textile and wallpaper patterns, and here they add whimsy to the linear pattern, perhaps suggesting terraced vines. 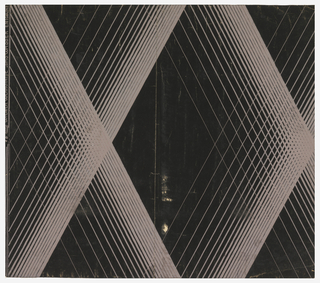 His titles for textile designs also reflect a stubborn sense of humor—though a playful or descriptive name might have made this textile more marketable, Peche named it instead after a Trojan War hero. 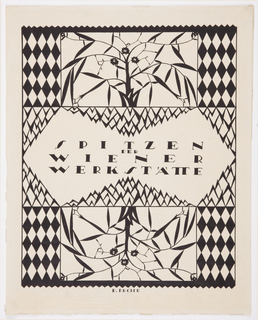 The 2 gouache drawings were most likely used by the offices of the Werkstätte to record the available colorways for the Diomedes pattern during the time of its production from 1919–28. Fashionable upper-middle class women bought textiles designed and produced by the Wiener Werkstätte for interior furnishings and fashionable clothing. 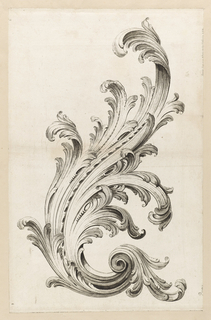 This object was catalogued by Karin Zonis, Julie Pastor and Carey Gibbons. 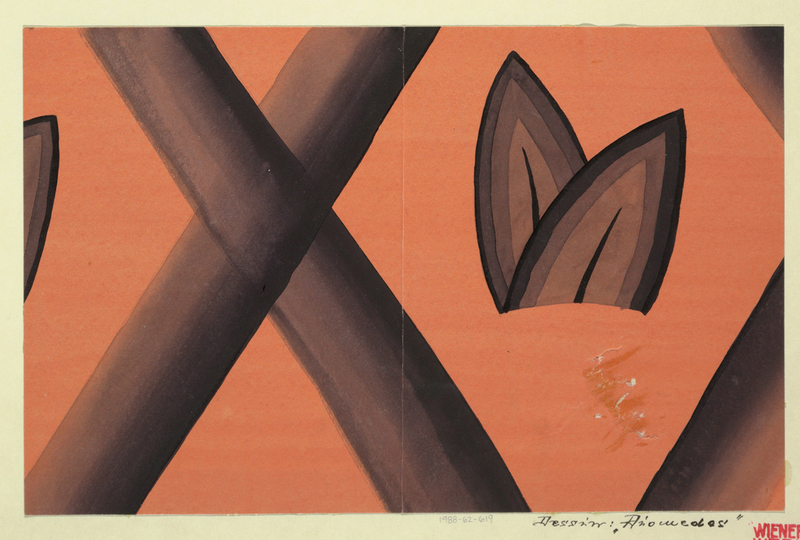 It is credited Museum purchase from Smithsonian Collections Acquisition and Decorative Arts Association Acquisition Funds.